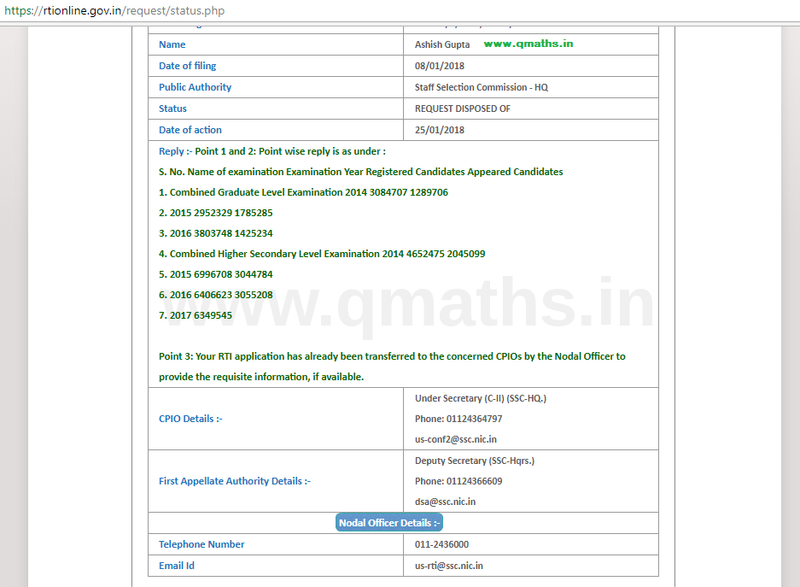 Hello friends, Team Qmaths has filed an RTI Query regarding No. 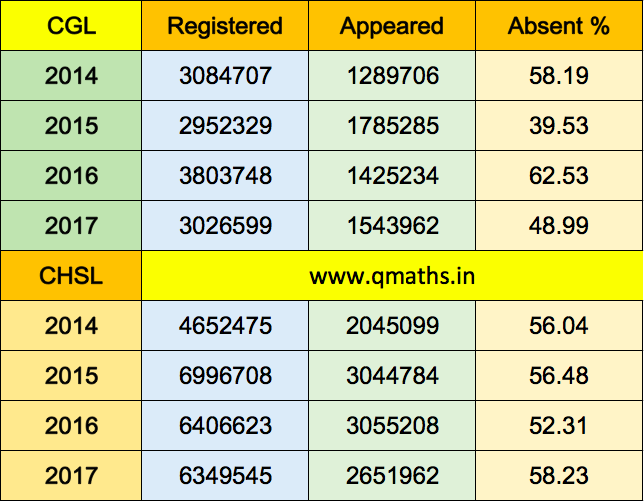 of Candidates Registered and Appeared for SSC CGL and CHSL Exams in last 3 years. Today we have received the reply from SSC and we are sharing the same with our followers. 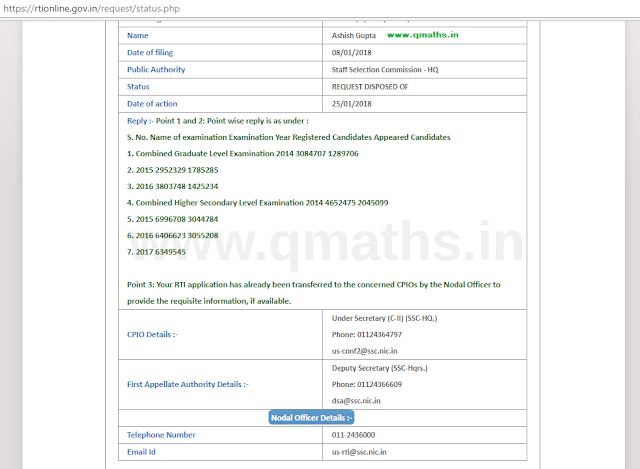 you may see the official rti reply image and text and our summarized data picture. Point 3: Your RTI application has already been transferred to the concerned CPIOs by the Nodal Officer to provide the requisite information, if available. 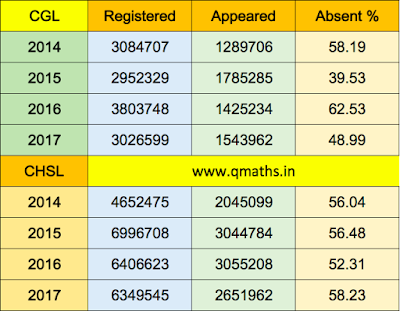 From recent SSC Notices, we can find CGL 2017 and CHSL 2017 missing Data.